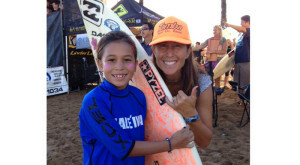 Young grommet after her 1st place win in her heat of her surf contest on Oahu. 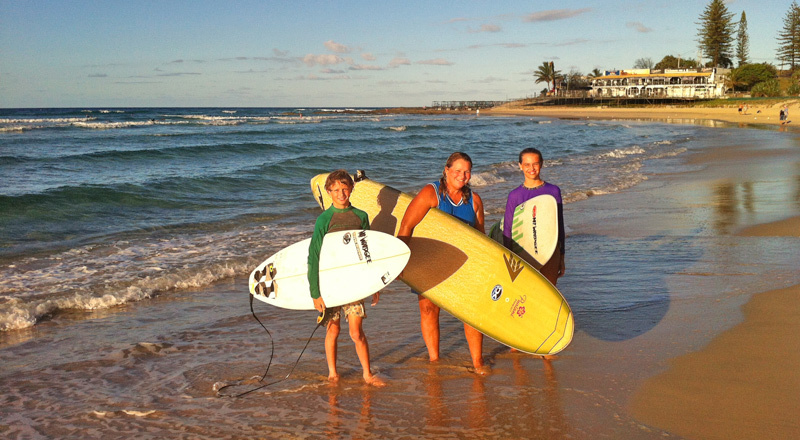 Trying different surfboards helps in learning to surf much better for your progress. 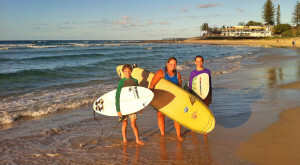 Grommets are open to having fun surfing. When I was a grommet in our neighborhood I would dream of exploring waves and I would cruise through my mind in far off lands searching for perfect waves. Little did I know I had them just close by. My friends and I were just kids surfing daily on our mats, bodysurfing or riding down those steep hills on our skateboards. We were building our own skateboards at the age of 8, 9 and 10 ten years old. In those days there were only the old fashion metal wheels that we put on our handmade wooden skateboards. Many of us were on our way to graduate from riding mats to riding the real fiberglass surfboards. I was consumed daily dreaming of riding waves down at Topanga or Malibu. So when I got home from riding the bus after school, I did my homework 1stand then I was free and off to the beach. Yeah! Those days were cool and safe to walk down to the beach or hitch hike. It only took us five to seven minutes to walk down the hill to the beach. From our homes most of us had ocean views and knew pretty much how the surf was going to be. Our group of friends were a whole another type of kid. A Grommet, not realizing how lucky we were. We were being groomed for full on teenager life early on. 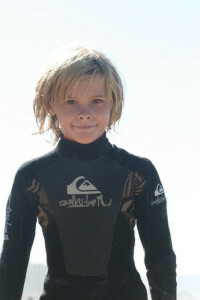 Us grommets were in love with the ocean, the waves, which we played in almost every day in Malibu/Palisades California. As I was getting better with being a grommet surfing and totally focused in trying to surf as many different surf spots, was a top priority for me. I felt the more comfortable I could be in different surf spots and have the knowledge of how each surf spots worked would be best. It gave us the knowledge depending on the swell directions to move us to new levels with our surfing ability. In Southern California, mainly North of Sunset, that’s Sunset and PCH and as far North as Zuma it was pretty easy to get around as a grommet surfing with people older than us. When I was nine years old my Mom surprised me and booked flights to Hawaii after not having a car for nine months. I was so over the moon. I fell so in Love with the Hawaiian culture I never wanted to leave. So every year since 1961 I visited Oahu for at least four weeks in winter until 1968 and I made four trips in a year and moved there the following year. That was my new home. I was in another world looking out at Waikiki seeing how many surf spots there was all across the area of Waikiki that I just beamed with delight. Because you could just paddle to so many of them so easily. Being a water baby it was such a safe area to explore, that my Mom never worried about me. The beach boys also watched out for me. This meant I would be able to catch way more waves and learn the different surf spots. 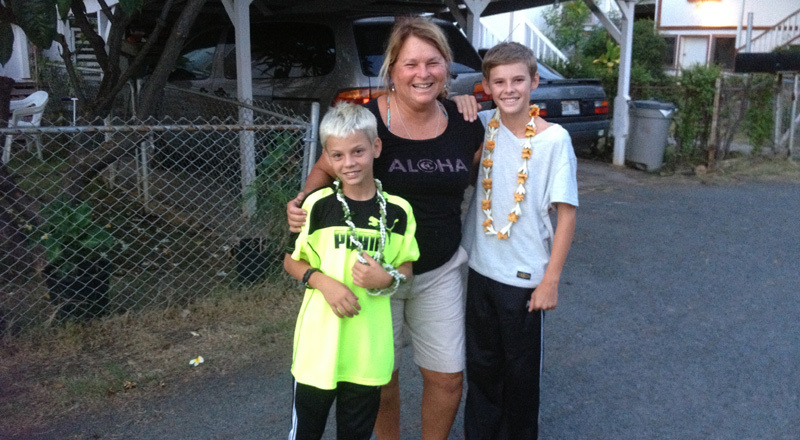 My Mom was wonderful bringing me to Hawaii and sharing Kona, Maui, Kauai and the island of Oahu. We even took a two (2) hour taxi ride out to Makaha to watch the Makaha International Championships on day and had the cab driver wait like four hours. This was the best gift a grommet could dream of. My Mom really knew how to surprise me. Lyndie I do not know personally, because I lived on Maui and Oahu, but I feel what I see on social media like Instagram. Lyndie is a super Mom to their son Axel. And really communicates well with him. I think all parents should give and share different choices in sports etc with their kids (grommets), so your grommet can pick what they are passionate in most. When your kids or grommets reach out and get super stoked on surfing or skateboarding then parents can be there to help and support them making their surfing happen or what they fall in love with. One thing important is don’t be over powering or push to hard with your grommets. Its best to learn to listen not only to your grommets, but to everyone. People seem to forget to listen and take time to really see what their children are feeling, sharing and saying. Grommets that are natural surfers and can progress quickly like Hawaii’s three (3) time World Champion Carissa Moore was excited about the ocean from a small girl. Her Dad & Mom supported her along the way. You just don’t want to be or end up being one of those parents that are so over the top or over powering to your children. Keep the communication open and your children will respect you. Parents. My Mom was too proud and over the top, very embarrassing to say the least when I started surfing in surf comps. 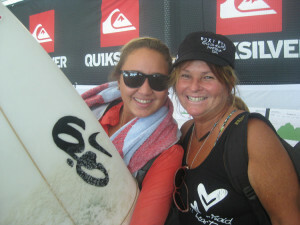 I actually before I surfed in comps for even the first half year I asked my Mom to not come to any more of my contests. I know it hurt her feelings, but she did not listen to me how her actions affected me. I personally would not have entered an event if she was going to show up, as it was so uncomfortable. So it’s always wise for you as a parent to listen to what your grommet wants to share with you. If you are interested in surf coaching or any empowering motivational sharing through fun story telling or consulting in choosing the best direction for your grommet or teen in selecting a surf coach or going with the best sponsor at the right time, then please reach out to me.